A floor collapse in an apartment complex's clubhouse in Clemson, S.C., early Sunday morning, injuring 30 people, according to police. The first floor collapsed into the basement of the Woodlands of Clemson Apartments, Clemson police Chief Jimmy Dixon told WHNS-TV. The apartment complex is 3 miles northeast of Clemson University. The collapse was reported around around 12:30 a.m.
No one was entrapped and the injured were transported to three hospitals although none of the injuries were life threatening, Dixon said in a report by WYFF. A private party had leased the clubhouse. The collapse occured as attendees danced in unison, Woodlands Property Management President Tal Slann told CNN. He said the clubhouse was built in 2004. 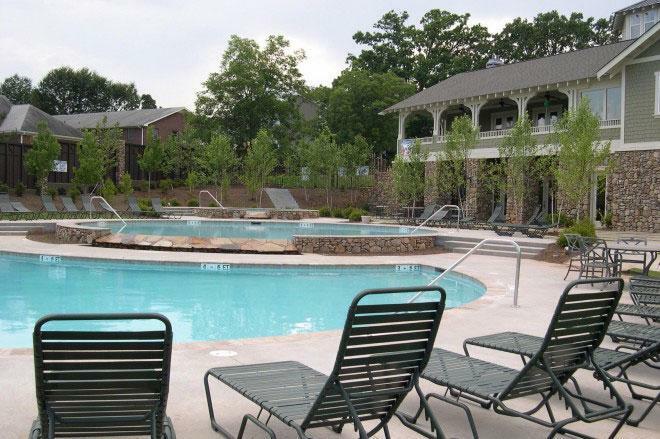 The complex, which caters to students, is a townhome- and garden-style condominium community, according to its website.